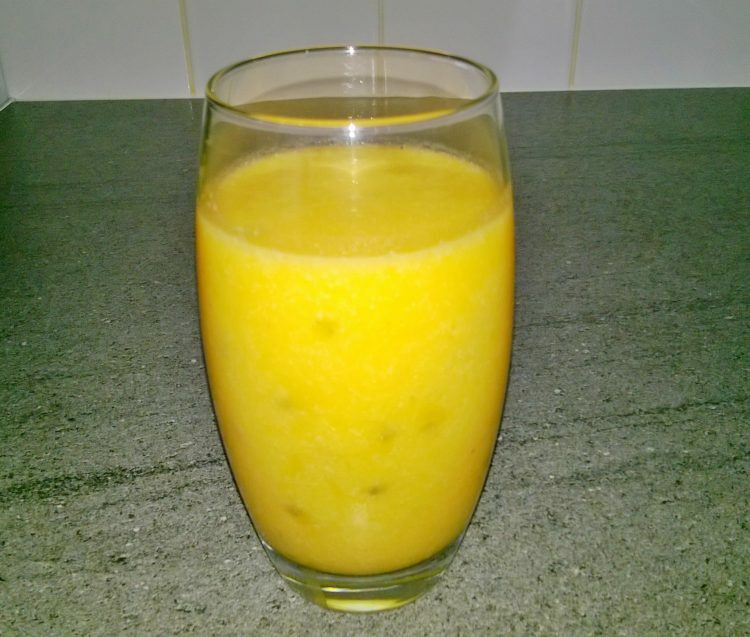 1 Put the orange, banana, pineapple, mango, coconut water and lime juice in and smoothie maker or blender and wiz for 30 seconds until blended and looks like a thick juice. 2 Pour the smoothie in to glasses, then cut the passion fruit in half with a knife and scoop out the middle with a spoon and mix. It’s then ready to enjoy.